The Principal and Vice-chancellor of the University of Aberdeen, Professor C. Duncan Rice, is to give this year’s Sabhal Mòr Lecture at the Scottish Parliament where he will argue that Scotland must reassert traditional values in education and take strength from its Northern identity to reclaim the kind of influence it wielded in the Scottish Enlightenment. Previous speakers include Irish president Mary Robinson, First Ministers Donald Dewar MSP and Jack McConnell MSP, historian and author Jim Hunter and chancellor Gordon Brown MP. The lecture will be held at the buildings of the Scottish Parliament and over 100 guests are expected to attend. Professor Rice, who currently serves on the Heritage Lottery Fund Committee for Scotland and who has served on the boards of BT Scotland, Scottish Opera and Scottish Ballet, will talk on Monday (November 21) evening about the value of education beyond strictly utilitarian, economic criteria and how Scotland can use its position and identity as a plural society of the North to recover some of the confidence and influence it once exerted in the Scottish Enlightenment. According to Professor Rice education has a crucial role in terms of citizenship and cultural diversity and not just as the foundation for Scotland’s economy, it is only in this context that Scotland’s real intellectual potential can be discovered he maintains. Looking forward to the lecture, Professor Rice said: “It’s an honour to have been asked to give the Sabhal Mòr Ostaig lecture. For many years I have admired the way that the College has grown in stature and the inspirational contribution it has made to Gaelic culture in Scotland and beyond. The lecture series – which is televised by Grampian Television – continues to provide a high profile opportunity for Sabhal Mòr to engage with a wider constituency of interests and, in so doing, to place the language and the culture at the heart of the national consciousness. The impressive list of previous lecturers, drawn from across a wide and varied spectrum of Scottish and international public life, has enabled the college to bring forward, for public debate, the thoughts and ideas of some of the most gifted thinkers from the worlds of politics, education, economics and the arts. Sabhal Mòr Ostaig Director, Norman Gillies, said: “We are delighted that Professor Rice agreed to give this year’s Sabhal Mòr Lecture, adding to the already high-calibre list of previous speakers. The lecture has consistently provided a platform for some of the most gifted and best-known people involved in politics, education, economics and the arts to share their views and aspirations. 1. Professor C. Duncan Rice, Principal And Vice-Chancellor Of The University Of Aberdeen. 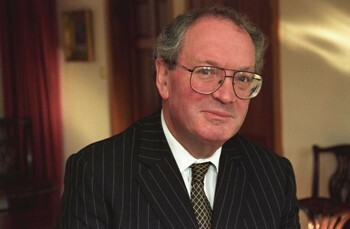 Professor C. Duncan Rice has been Principal and Vice-Chancellor of the University of Aberdeen since September 1996. He was previously Dean of the Faculty (1985-91), and Vice-Chancellor (1991-96) at New York University. Professor Rice was born in Aberdeen and took a first in history at the University of Aberdeen in 1964. He taught briefly at Aberdeen and completed an Edinburgh doctorate before spending much of his professional life at Yale and New York University. Board and is Vice-Chairman of Scottish Enterprise Grampian. He was Chairman of the Circumpolar Universities Association from 1997-1999 and has served on the boards of BT Scotland, Scottish Opera and Scottish Ballet. Professor Rice is married to Susan Rice, the Chief Executive of Lloyds TSB Scotland. They have three children and live in Old Aberdeen. His interests include hill-walking, fishing, contemporary literature, and opera. 2. Dr Jim Hunter gave the first lecture in 1990 and since then a number of well-known people from various fields have given the lecture, which is sponsored and televised by Grampian Television. Previous speakers include: Irish presidents Mary Robinson (gave lecture in 1997); First Ministers Donald Dewar MSP (2000) and Jack McConnell MSP (2004); Donnie Munro (1996); Chancellor Gordon Brown MP (1999). First Minister Jack McConnell in his lecture in 2004 said: “This truly is an inspiring place: one of the finest settings for education imaginable and a physical symbol of renewed confidence. Sabhal Mòr Ostaig is special, not just because of its setting and the excellence it consistently attains, but because of the contribution it makes as the national college for Gaelic”.